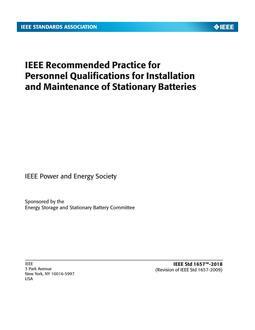 This standard applies to the definition and application of function numbers and acronyms for devices and functions used in electrical substations and generating plants and in installations of power utilization and conversion apparatus. NOTE¿¿¿Historically, device function numbers have typically represented individual or component devices. These numbers and acronyms may also be used to represent individual functions within multi-function devices or software programs, and that may contain both protection- and non-protection-oriented functions. A device function number, with an appropriate prefix and appended suffix (or an acronym), is used to identify the function(s) of each device installed in electrical equipment. 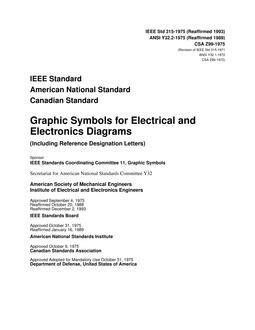 These numbers and acronyms are to be used in drawings, elementary and connection diagrams, instruction books, publications, and specifications. The device number or acronym may be physically placed on, or adjacent to, each device on the assembled equipment. Revision Standard - Active. The definition and application of function numbers and acronyms for devices and functions used in electrical substations and generating plants and in installations of power utilization and conversion apparatus are covered. The purpose and use of the numbers and acronyms is discussed, and 95 numbers and 17 acronyms are assigned. Function numbers or function acronyms for arc fault detection, high impedance fault detection, human machine interface, communications devices, digital fault and sequence of event recorders, power quality recorders, substation time sources and synchrophasor devices are among those that have been added. The use of prefixes and suffixes to provide a more specific definition of a function is defined. Device contact designations are also covered.